It’s been a while but I want to get back into the swing of “Things I’m Loving” posts. Those posts were always fun to curate and a little more out of my usual “box” of topics. And aren’t we all dying to jump into something fresh? I have fun telling you about new things I’m digging. What’s your jam lately? Tell me in comments! This Personality Factors Map is super cool and was insanely accurate (at least for me). Take the test at this link. I think it’s hilarious but true that it said I’m 94% in the orderliness category. 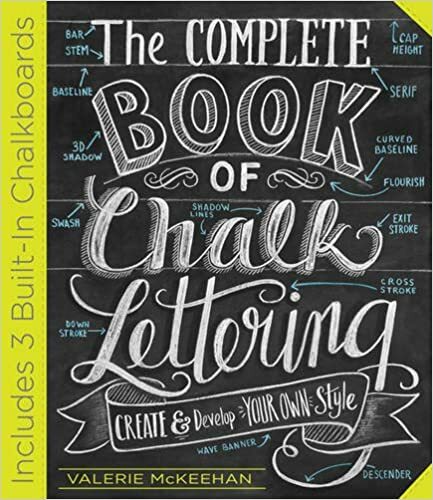 Valerie McKeehan’s Complete Book of Chalk Lettering. I’ve been dabbling in calligraphy and hand lettering a bit… and have been following Valerie’s instagram and I’m mesmerized by her videos. I’m not going to lie, I’m dying to try her book! On Instagram: The Real Brooke White the former American Idol contestant turned lifestyle blogger at The Girls With Glasses chronicles motherhood, home renos, making a fool of herself in stores and general lifestyle in bright witty and often musical insta stories. She does everything I wish I had the courage to do on Insta-stories… laugh, cry, sing, dance and do life along with Brooke. You won’t regret it. Okay… I know I’m late to the party on this one but I’m really feeling emerald green lately. I know, I know. It was Pantone’s 2013 color of the year. I’m way behind! 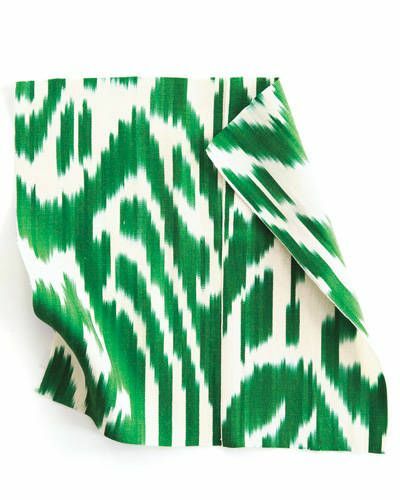 I liked it then but I’ve recently been smitten with it in bold prints, next to soft pinks and even on jewelry and bags. Plus, St. Patrick’s day is coming up and green is just really growing on me. I’m secretly (shhh… don’t tell Hubby) shelving the idea of an emerald front door after we paint our house a soft gray hopefully later this year. I like it so much I even have an entire Pinterest board dedicated to emerald green. I hadn’t even realized until I sat down to write this post! So what are you loving? Are you late to the party on anything like I am? Or maybe you are a trendsetter and way ahead. Tell me! I’d love a few new things to try! It is rainy and gloomy here in Cincinnati today. 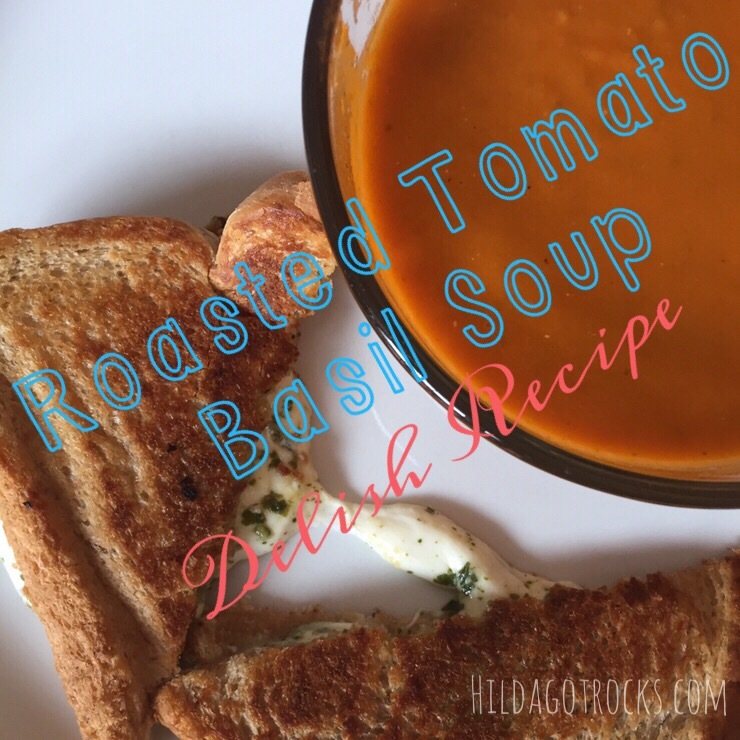 Instead of letting the day make my mood gloomy, I’m going to whip up this classic Tomato Basil Soup! I got this original recipe from my boss but I have switched it up a little bit (I like it to have a zestier flavor so I added a red pepper and spiced it up with a little kick from red pepper flakes). I also love this recipe because it can easily become vegan if you omit or substitute the butter! Enjoy the fruits of your labor hot or cold and of course, with a grilled cheese. It is a little bit more labor intensive than most things I make. But I promise it will be divine and your house will smell incredible too! 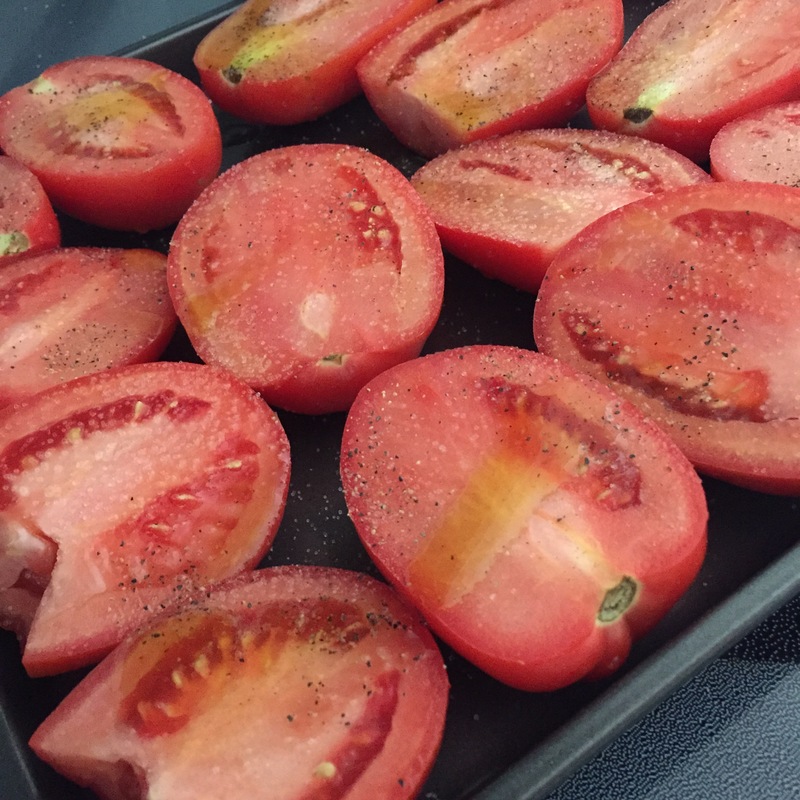 Cut tomatoes in half lengthwise, toss with 1/4 cup olive oil, spread in single layer on parchment paper lined baking sheet with sides, sprinkle with salt and pepper. You can add the seeded/halved red pepper to the pan if you’ve chosen to include it. Roast in oven 45 minutes. In a large stock pot, melt butter with olive oil, add garlic, red pepper flakes and chopped onions. I only use 1/4 red pepper flakes for a mild taste suitible for kids. I personally like more like 1/2-3/4 Saute about 10 minutes until onions are translucent and begin to brown. Add canned tomatoes, basil, vegetable broth. Simmer on low until tomatoes are finished roasting. Add roasted tomatoes/red pepper and juices to the stockpot. Bring to a boil and then reduce heat. Simmer uncovered for 40-50 minutes. Allow to cool. Pass through a food processor or blender in batches. For thinner soup you can add some water for desired consistency. Enjoy! Hot or cold. With a classic grilled cheese or gourmet panini. I love to make a mozzarella, pesto grilled cheese and dip it in the soup. Last year (particularly the latter part of last year) was busy for me and admittedly, my blog suffered. I like to make sure my life is in balance… errr, um… as much balance as possible. So my plate got a little fuller for a bit and I didn’t have much content here for a while. If you follow me on social media you know that I’m still around and my Instagram and Facebook are still active with articles and funny tidbits. I’m ready to share all the things that have been keeping me busier these days though. I’ll have several posts catching you up on all things Hilda… but for now I’ll share the most fun one. Hint: it’s pretty, comes with adult beverages and great friendship! I’ve been helping my dearest friend Erica make some amazing Hand Lettering and Calligraphy Workshops happen. It’s all her: her talent, her dream and her hard work. But even genius needs a little help sometimes. Pretty… right? One day Erica called me up and was like “I want to do a calligraphy workshop. Am I crazy?” and like any good friend I assured her she was only the best kind of crazy. She decided to go for it and was kind enough to take me along for the ride. With just a few weeks to prepare, Erica put together a top notch Thanksgiving themed workshop. I drove 3 hours (I live in Cincinnati and she lives an hour North of Columbus) to help with last minute details. We worked around the clock to finish assembling her workbooks, spray painting tons of things gold and packing things to haul to the workshop location (which was GORGEOUS). Erica also arranged for a local bakery to make scones and pastries for the workshop which she complimented with a signature apple cider mimosa cocktail. There was a little sweat on the brow… I mean, this was a wild idea just a few weeks beforehand but the whole workshop sold out. She added more seats and it sold out again! It was awesome to watch nearly 3 dozen women come together on Saturday morning to learn brush calligraphy, traditional calligraphy and hand lettering. While Erica taught her workshop, I took tons of pictures, took over her social media accounts and even did a Facebook live on her page ( you can watch it here ). I had so much fun tagging along and watching it all unfold. You can read Erica’s blog post all about it here. I am so proud of this little dream Erica had and also so proud to be a small part of it. 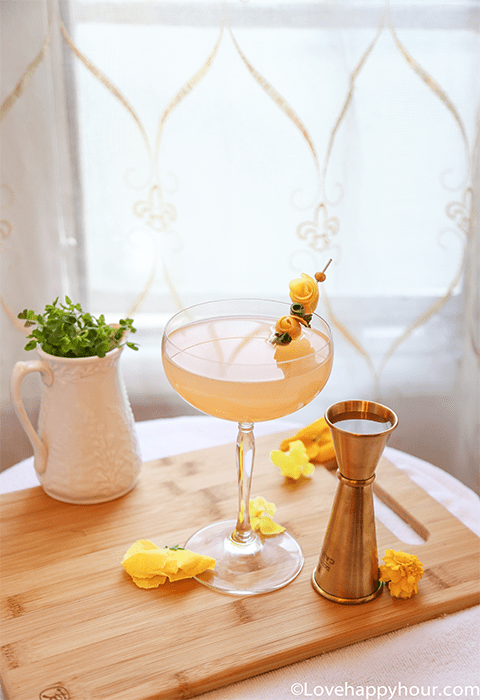 Erica had not just taught a class, she built an incredible workbook from scratch and taught a class around it, she had created an entire experience. All the decor, food, cocktails and the instruction were over-the-top gorgeous! When it was all finished, we packed up our cars and headed home. On the ride home we recounted the day and decided to do it all again in December. Same idea, change up a few things like ditching brush lettering this time and making it cocoa themed. Here are a few pictures from the Calligraphy and Cocoa Workshop. Try not to drool. I promise it was as tasty as it was fun. You can read more about the December workshop on Erica’s blog, but a sneak peek is below. Needless to say, both workshops were a huge success and totally gorgeous! Erica had such wonderful feedback and lots of people requesting holiday gift certificates that she has announced not one, but two a Gal-entine’s Workshop on February 4th. If you’re in the Columbus/Mansfield area and want to come, you can register here. Bonus: you’ll get to hang out with me too. Hope to see you there! 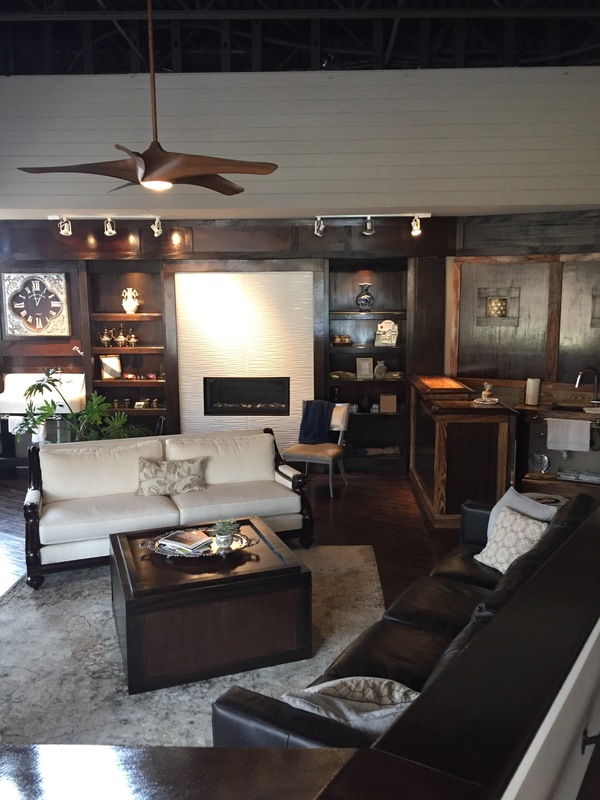 Last week I told you I was working on a dream living room mood board project with Arhaus. How exciting! I needed a jumping off point because while “build your dream living room” is my dream assignment, it’s also like being a kid in a candy store… I want it all! I had to kind of give myself a process (you know, because the kids in candy stores can sometimes end up with a stomach ache) and so I started by asking myself how I want to feel in the room. Answers: cozy, fresh. And what I wanted it to say: layered, traveled, thoughtfully collected. I want a room that is moody in the best way… fresh and cheery enough to enjoy my morning coffee but subdued and soft enough for curling up with a good book at night. Then I built a mood board of just general things I like. You can see my inspiration board here. Well the wait is over! I based my room around two of my favorite Arhaus pieces. First I knew I wanted an amazing handwoven rug from Arhaus that would be durable, comfy and beautiful. What more could a girl ask for?! 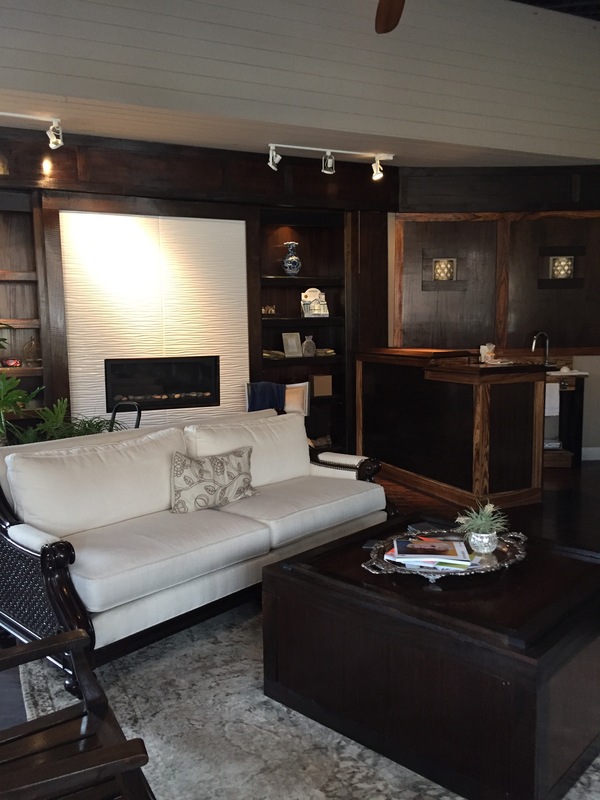 I also knew right away that the Pier sectional sofa from Arhaus was the one for me! 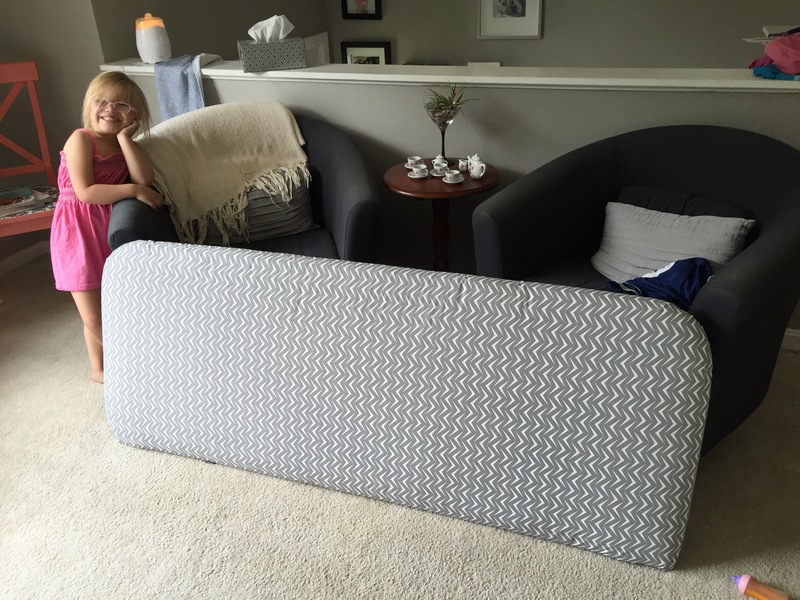 Cozy, plenty of padding and pillow space with a solid corner for nesting, but lacks nothing in the design aspects. I mean, check out those clean lines and delicate modern legs. Hello, gorgeous! And the upholstery comes in “Tribeca Peacock” which delivers the exact moody punch I was going for. In addition, I went for Platinum Gray by Benjamin Moore for the walls. I think it would be crisp enough to feel light and fresh but I knew it would also provide a simple contrasting back drop for the bold sofa choice. I mixed in some texture with several kinds of pillows in jewel tones, the pleated side table and woven upholstery. And most of the concepts on my inspiration board translated well into my dream living room. 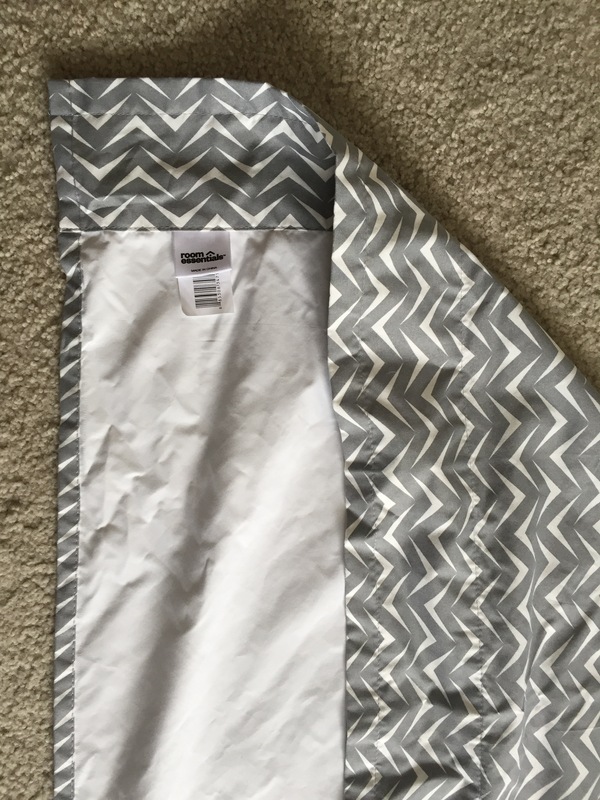 If you like what you see, you can click to Polyvore mood board above and you can see exactly where to find each piece as well as the prices. P.S.- Arhaus is having a giant sale right now too (You’re welcome). What about you! What happens in your living space? Do you have a TV in your living room? We don’t! (I know. Weird. But I think more life happens there without a TV). Do you like gobs of pillows? 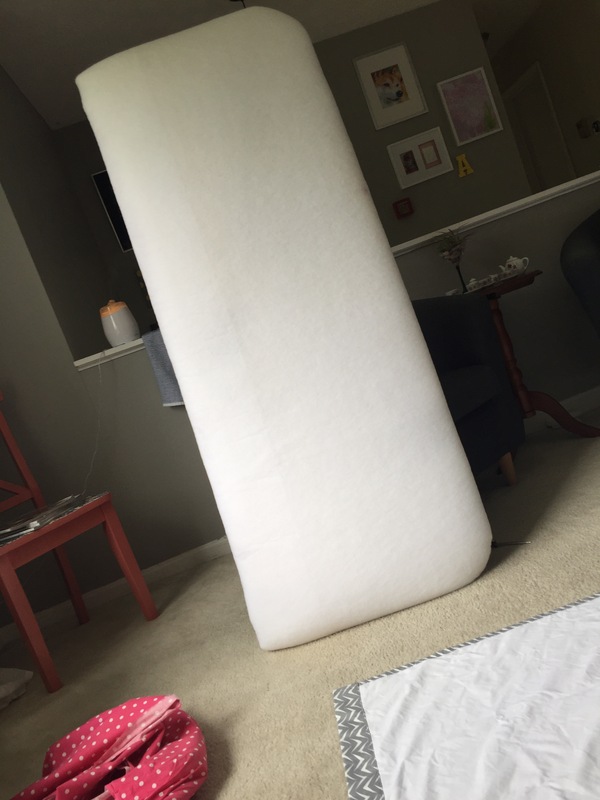 A plush rug? Lots of layers or is less more? What do you feel in your space?I want to know! Comment below or on my Facebook or Instagram. I’d love to share one of O’s favorite crafts with you today. I was hoping to teach her about color theory and remembered this little project: Marble painting. And the best thing about it is that I bet you have all of the supplies for it already. Place the paper in the center of the box. You can tape it in place if you’d like or if you think you have a kid who will be an aggressive shaker. 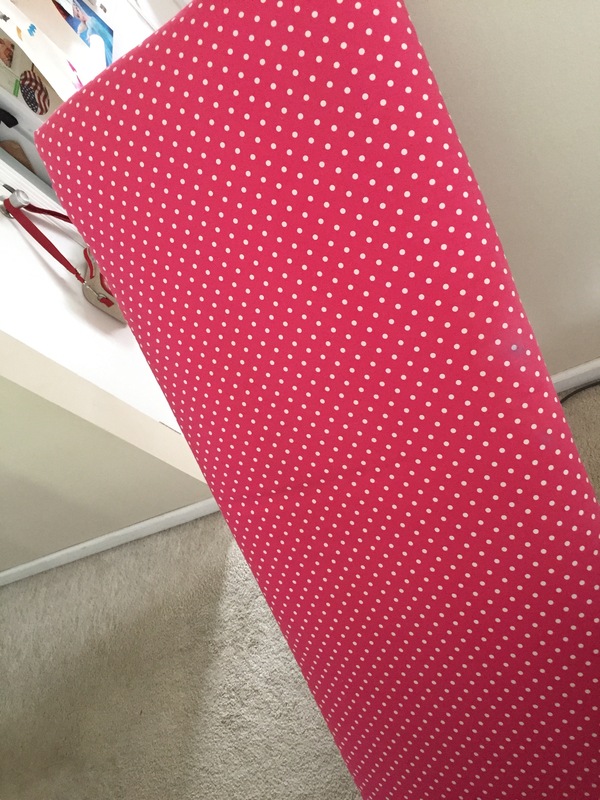 Dot paint around the border of the box. Add marbles to the box. Now for the fun! Let your kid shake the box. The marbles will roll around, through the paint and create tracks across the paper. Some colors will mix. O was fascinated by this and we discussed what was happening and all about mixing colors. The results are a fun mess of colors in an abstract painting. Literally anyone can do it! And it doesn’t hurt that it is fun to do! O loves her masterpieces. We’ve probably made 100 of them… it never gets old! She even asks me to keep basically every single box that comes to our house so we can do this project again and again. A friend of mine told me she used avocado pits instead of marbles… they add a different texture and make for an easy clean up since you can just pitch them with the box. I have been dying to share this project with you guys! It was a half-baked idea I had for adding a mantle to a friend’s dining room. I kind of had to sell her on it drag her along but she put a little trust in me and I think now she might love it more than I do. So my dear friend Erika… you know, the girl who convinced me to slap up some insanely gorgeous navy stripes for her family room… Funny enough, her dining room has a similar wall that covers what used to be a fireplace. I, personally, was dying to rip open the wall and expose brick but Erika’s style is a little more polished and crisp than that. Plus the risk of exposing an eyesore or dilapidated mess was a bit daunting. So I begged her to add a fireplace mantle to this wall. For months I tried to sell her on it. And then one day I stumbled on a cheapo fake mantle. It’s not antique and it’s not even built very well but it was a great start. We cleaned it up, spray primed it and brought it inside. We made a trip to home depot and bought a long piece of poplar to make the shelf/ledge and a few pieces of trim to clean up some incomplete and rough looking edges. You might remember my documentation of this trip to the depot on Instagram. Because I have fun pretty much everywhere I go. We used liquid nails all over the back and a few long drywall screws on each side to mount it to the wall. We added trim with some liquid nails and a few finishing nails. 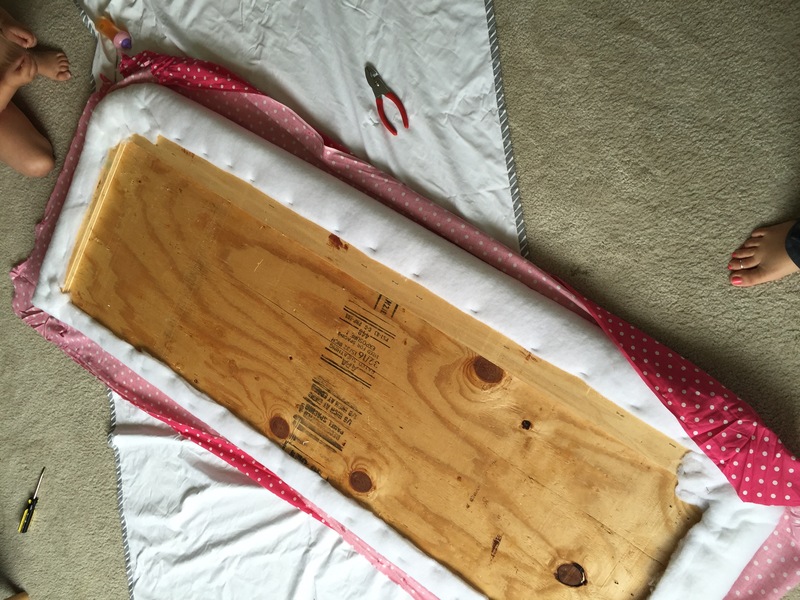 I also caulked some seams and gaps… it helps make everything look like one solid piece rather than a bunch of stuff we decided to nail to a wall. Then one day O brought my little helper over with Erika was at work and we painted the whole thing Benjamin Moore White Dove. Erika already had the paint and I never turn away from painting anything white! 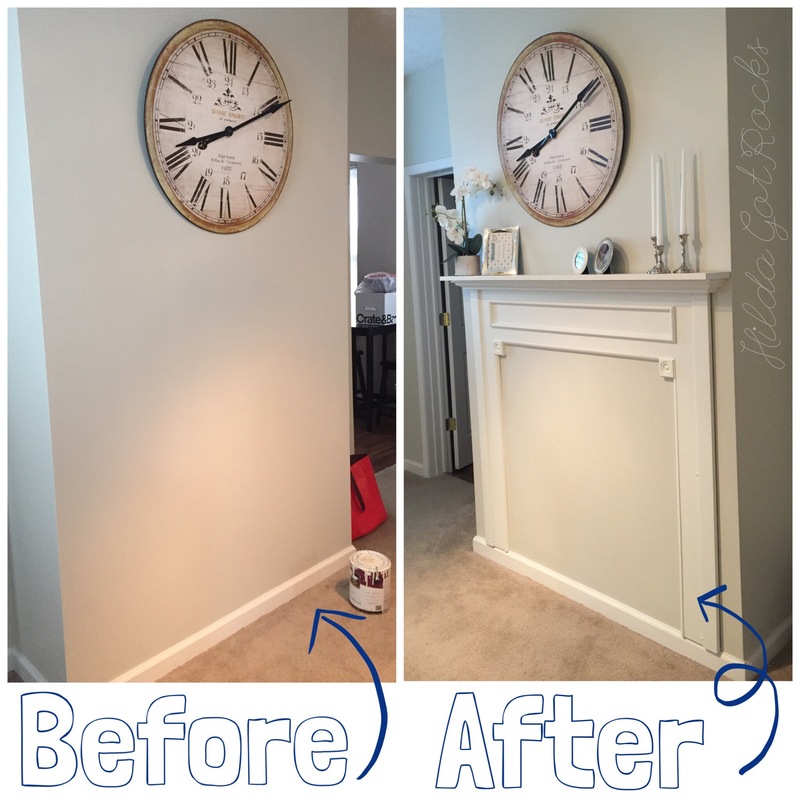 She did a great job of styling the mantle shelf and sent me a few pictures. We’ve talked a few times about how it looks better than we had imagined. This fantastic dining room now has a subtle focal point and feels a but more polished (without being too formal). I think it also brings the eye higher up the wall so the high ceilings are showcased a bit more. I think we are all pleasantly surprised by how it turned out. And I’m glad I don’t have to repair and paint the wall (as I had promised to do if she hated it). I have to tell you guys about the most amazing place! Blúex Water Spa is my newest obsession. 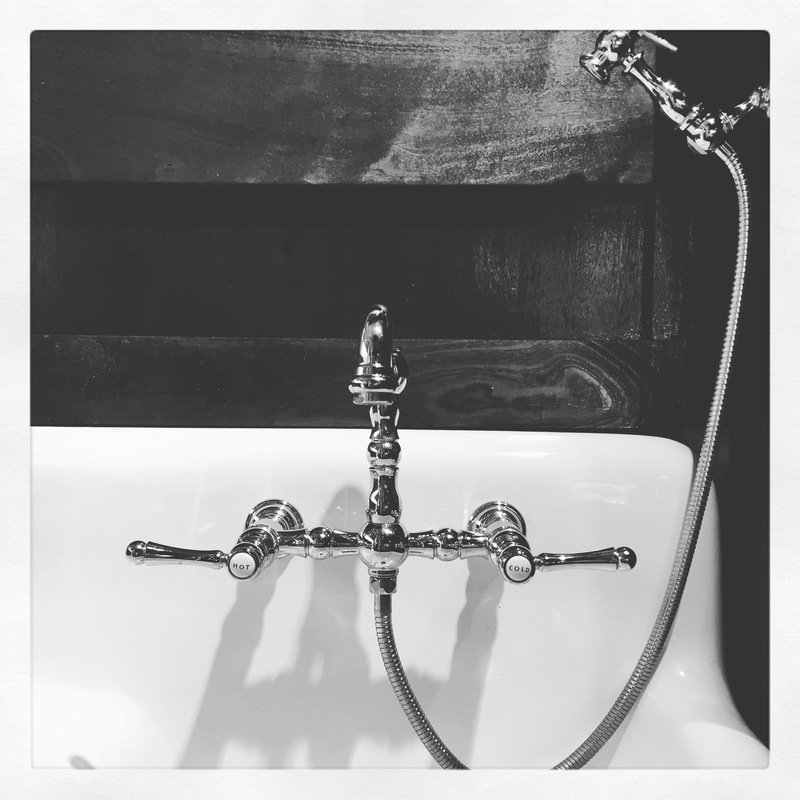 As you have probably gathered, I’m all about natural, chemical free and holistic lifestyle. This place is a spa that embodies all of that and more… But first- check out how gorgeous it is! Above is the filling sink for filling drinking jugs. Below is the waiting room. It’s calling my name for a good long nap. Ok, now back to the natural spa thing. This spa offers services you could find at most spas except with a twist. It’s built on a natural mineral spring! So the water is high in magnesium, silica and more all good for your skin and body. After all, your skin is your largest organ! 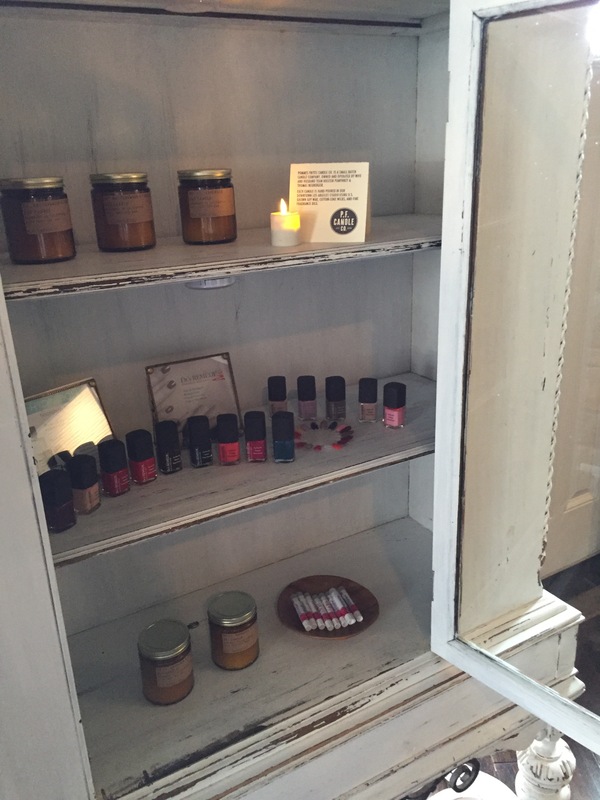 Even the nail polish is formeldahyde free and eco-friendly. So I had been for a couple massages and mineral soaks and was hooked myself. 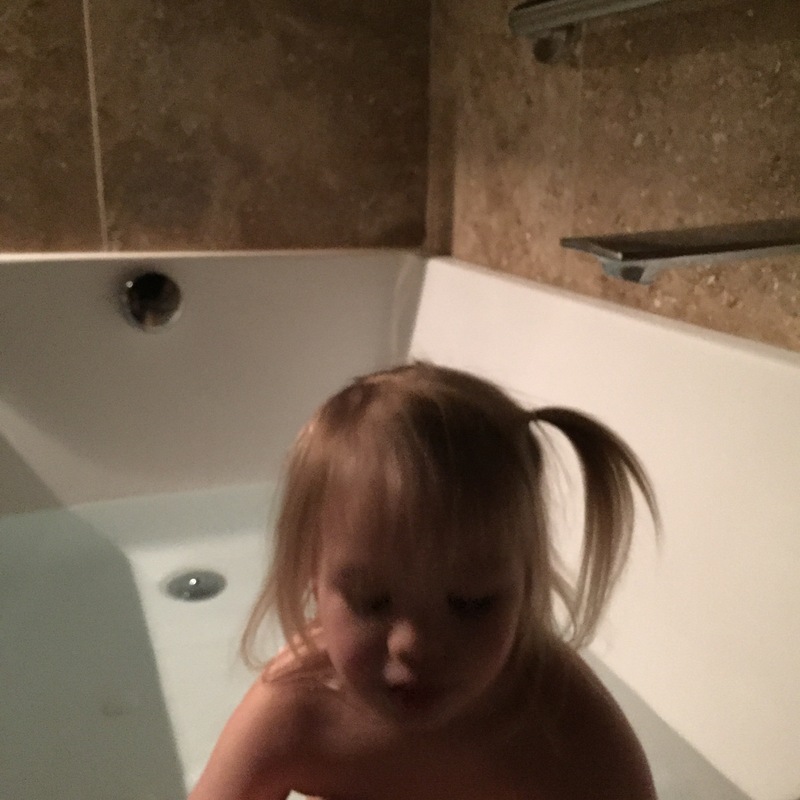 But it was mid winter when I realized the mineral baths could help O with her eczema. I asked nicely if they’d be interested in seeing what happened…. And we decided to give it a shot. 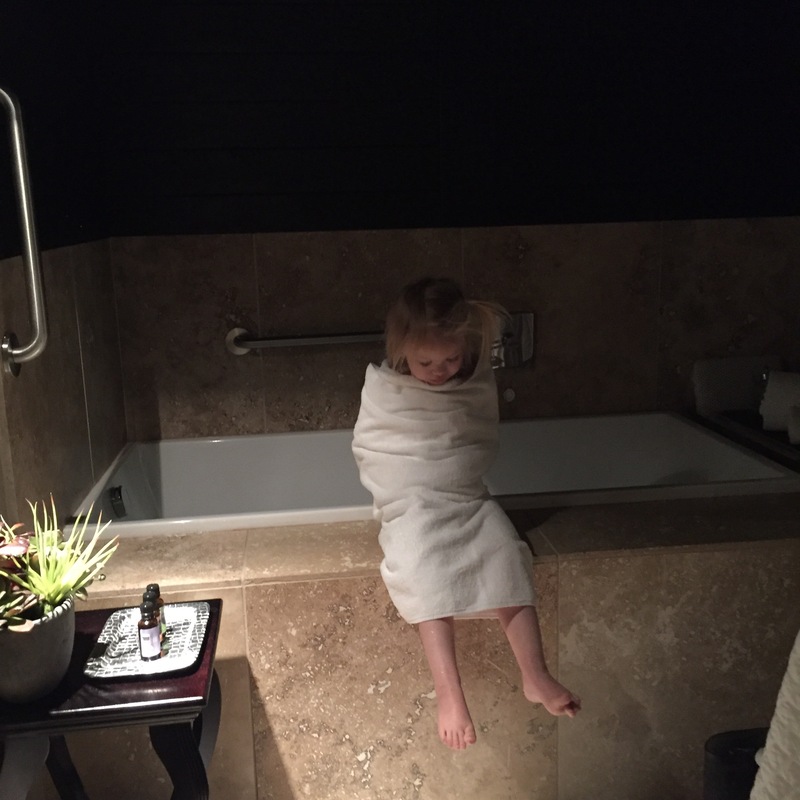 So my kid is a regular at a spa now. And I might put my feet in with her. So here are some before and afters. 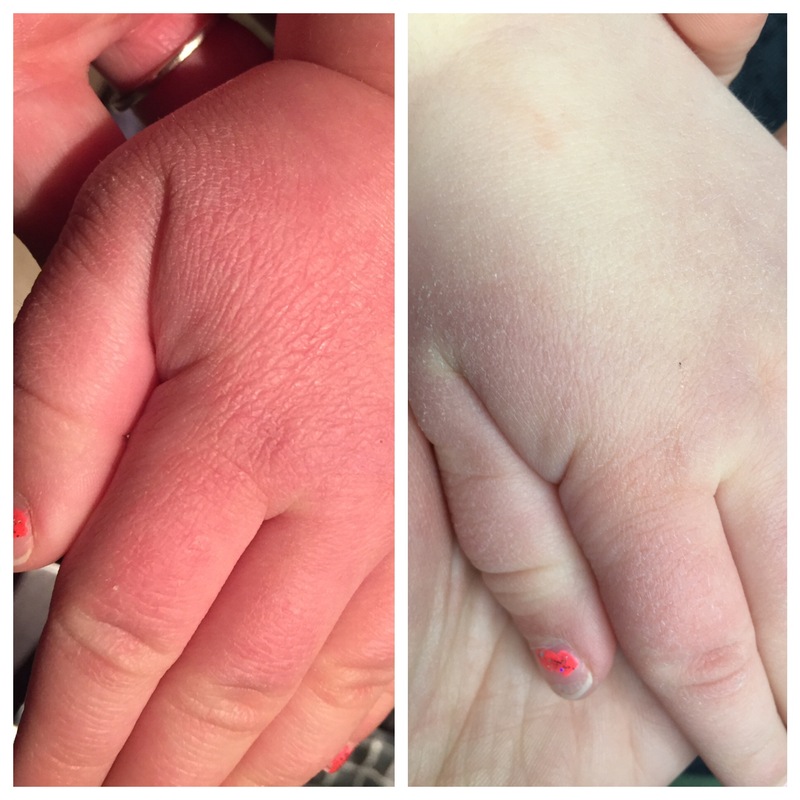 I took the photo on the left of her hand just before her first mineral bath. 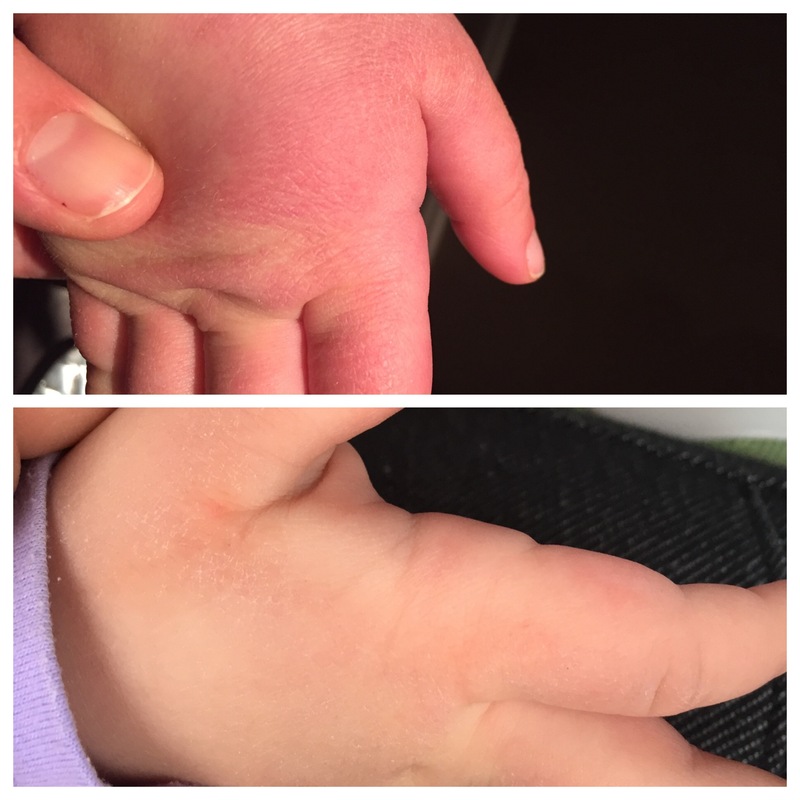 Her hands were the worse (besides her bum but I didn’t think that was blog appropriate) and she was perpetually red, scaly, dry and cracked on her hands. Sometimes they would even bleed. The photo on the right was taken just 20 minutes later on the same day. Suddenly she has smooth, soft hands! It surpassed even the spa owner’s expectations! This is her right hand. The top one was just before the bath, the bottom was just 20 minutes later. How incredible! Needless to say, we’ve become regulars. She went once weekly for a 15-20 minute soak all winter. I swear it was like she had new skin! 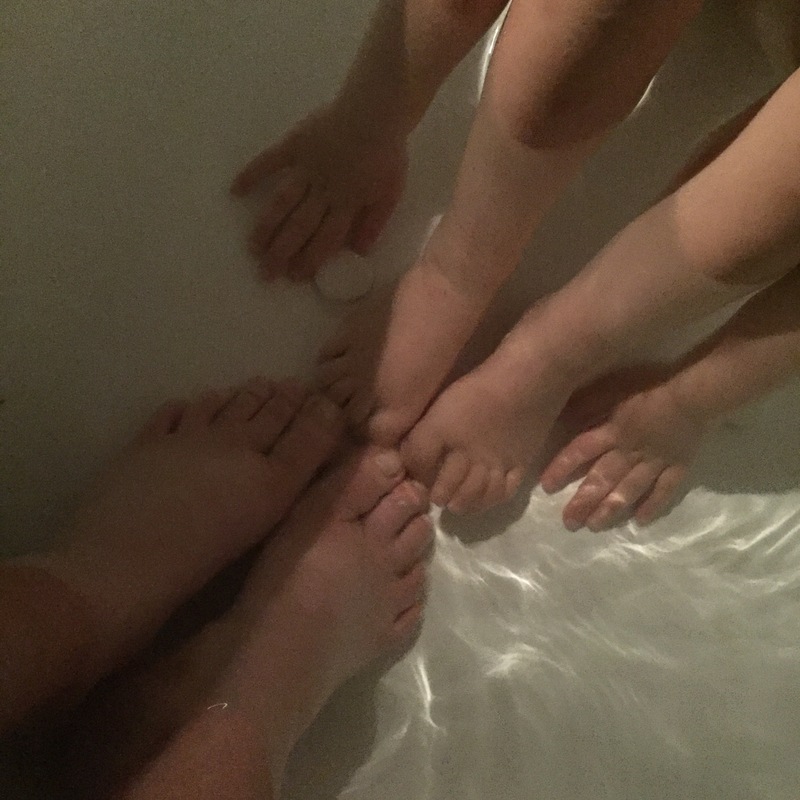 The benefits of mineral baths are countless!